-Android Automation Skill: 5D in all related skills. The Raza is the hero ship of Dark Matter Season 1, 2 and 3. It is the location in which the crew and the Android awake in Episode One. The normal crew complement of a ship of this class is unclear, however the mess hall is notably about the right size to accommodate six human crew members with little extra room to spare. The crew of the Raza emerged from their stasis with no memory of who they were, so the crew positions have largely fallen to whoever demonstrates appropriate skills for the tasks needed aboard the ship. The role of captain has defaulted to Two who has discovered that she possesses an intimate knowledge of shipboard operations. The day-to-day running of most engineering, life support, and astro-navigation functions is conducted by the ship's Android, which also serves as a mobile link to the Raza's computer. Five has useful knowledge of electrical systems, and Three is more of a guns specialist. The Raza also has handlers (Tabor and Adrian) that find them work. Past members other roles and specialties included, Six who would pilot the Raza's shuttle, while others of the crew, (Four and Nyx), had demonstrated skills of a more martial arts nature, useful for the combat situations that the crew often found themselves in. While Devon acted as the crew's medic. The Raza is a faster-than-light armed space transport equipped with various countermeasures such as vector thrust capable nacelles. The interiors feature a spacious bridge, a small mess hall, and private crew quarters for at least six crew members. Gravity aboard the Raza is artificially generated. The Raza contains a Phantom class shuttle called The Marauder. -Stasis tubes to minimize life support requirements on long journeys at FTL. -A shielded vault, capable of resisting weaponry and breaching, to store various personal items, weapons, and loot. -A cryotube, containing Sarah, Boone's lover. Later ejected into space to dispose of a mind controlling parasite. -Three Transfer Transit pods, used to steal the Blink Drive adapter from Alicia Reynaud and to infiltrate a ground-side station locked down by the Galactic Authority. 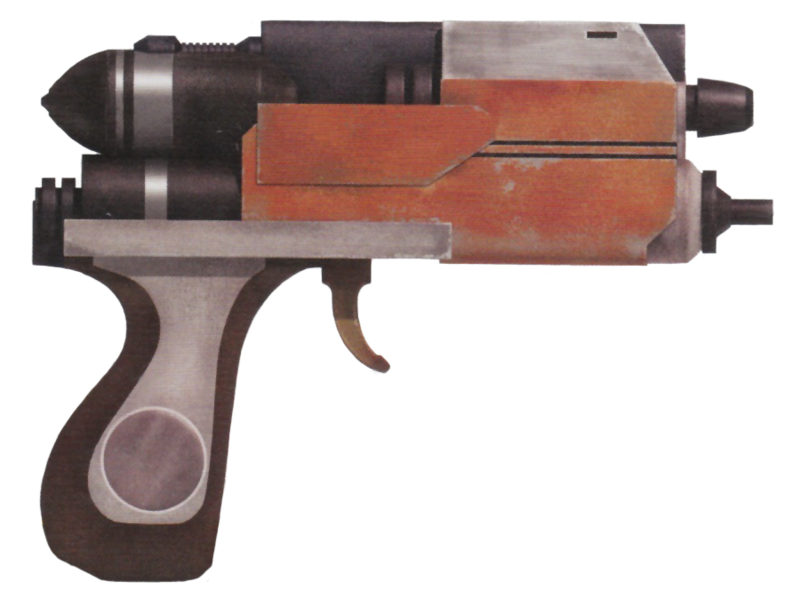 -The Blink Drive, which allowed the Raza to go anywhere in the galaxy in an instant. Currently not in use until proven safe. -"*": Weapons marked with * are not officially in the series. They have been added here as options if the GM allows, due to their being signs that some form of missile weapons may have been on the Raza, even if they were never used. One episode of the Dark Matter series did show the Raza of an alternate reality having missile launch capabilities, and it proceeded to fire a nuclear missile on a colony on the surface of a planet. This colony was completely destroyed, killing everyone that lived there. The main reality Raza may have missile launchers, but may lack nukes of its own, instead using more conventional warheads. -Crew: An edit after statting out the Raza. The ship's crew is listed as 8, with 6 gunners. This is only if the Raza and its crew do not have access to the Andoird. The Raza is modified to work as conveniently as possible with a minimum crew, and the Android is key to this setup. If the Android is ever incapacitated for some reason, 8 crew will be needed to pilot the ship, run sensors, and operate all the Raza's weapons. If the Android is operational, the Android can operate all of these functions without deduction in skill dice for multiple actions, due to her unique design, and her custom link to the Raza's computer core. -Crew, Gunners: The general layout of the weapons systems for The Raza requires 4 gunners, 1 for the forward guns (who decides which gun type to use as needed), 1 for each turret (4), and 1 for the various missiles and other ordnance (again, deciding which to use as needed), for a total of 6 gunners. This is if the Android is not available to operate the weapons (or if the crew would prefer to do so themselves). All weapons are operated from the bridge. -The Android: The Raza's crew includes "The Android", a synthetic member of the Raza crew who, under examination, seems to be a common android design, but is in fact much more advanced and unique than most other synthetics. This android also has the ability to link to the Raza's computer and automate almost all of the ship's functions, including weapons. As long as the Android is concious and linked to the ship, she can use the Raza's various weapons and other functions (such as shields, sensors, repair systems, etc) at full capacity with no decrease in skill dice for taking multiple actions. If the Android is some how incapacitated, this automation feature is lost until the Android can be restored to functionality. 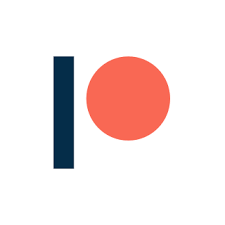 If the ship is damaged or incapacitated some how, this does not affect the Android....usually. -Maneuverability: The Raza has 3D due to its rotating engine nacelles, which grants it higher than normal maneuverability for a capital ship. If these are ever specifically targeted by "called shots" and incapacitated or destroyed, this must be done 4 times to fully negate the Raza's mobility and leave it dead in space. However, each nacelle incapacitated/destroyed will reduce Maneuverability by 1D and Speed by 1 each. When the Raza has only 1 nacelle left, it can still move (barely), but at only a +1 Maneuverability and Speed 3, but Difficulty Levels for piloting the Raza will be increased by +5 (+1 Difficulty Level). -FTL Drive: AKA, Faster Than Light. Unless mentioned, these effectively function just like Star Wars Hyperdrives. While the Raza has never mentioned having a backup, due to its nature as a mercenary crew's personally modified badass starship, I figured it might have one, so it's been added in (GMs feel free to remove if you disagree). Also of note for FTL drives, in the setting for Dark Matter, humanity has settled across multiple galaxies using FTL drives that travel at similar speeds to Star Wars hyperdrives. These often take weeks to months to cross the width and breadth of a galaxy through navigable hyperspace lanes, and can take much longer to cross the void between galaxies (months to years), but not impossible for those looking to leave their homeworlds and spread through colonization. Combine this with Transfer Transit technology, and these vast distances suddenly become a lot closer. Even more so with the Blink Drive (see below). -Blink Drive: This prototype alternative to the standard FTL drive is less a drive of its own, and more an adapter to a standard FTL drive that is "plug-and-play". Once plugged into a FTL drive, that ship (or space station, or anything with applicable technology) can instantaneously transport itself to any other point in the universe. With this device, travel times that can take hours, days, weeks, months, or years, can be done in a single moment. When using the Blink Drive, Astrigation skill checks are increased by +10 (+2 Difficulty Levels). This is due to the fact that the Blink Drive is a bleeding edge prototype and a technological marvel, and technically no one is fully familiar with how it works except the original creator (and good luck finding him, as he is exiled 600 years into humanity's past on Earth, having used another Blink Drive, which also proves that the drive can double as a time machine). It should be noted that the Blink Drive, either through design or by accident, has been problematic on occasion and not always functioned as intended. If the player(s) make an Astrogation/Piloting check involving the Blink Drive and roll a 1 on their wild die, the GM should feel free to let their imagination wander far and wide as to how this results in their group's game. 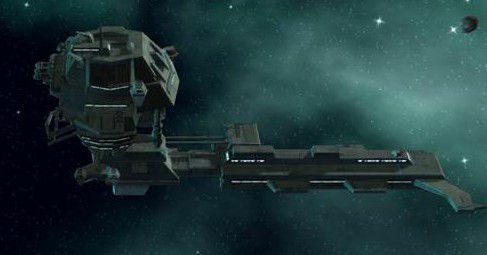 -Weapons: Medium Anti-Ship Plasma Cannons are based directly from stats for standard Turbolasers foind on many Imperial ships. Light Plasma Cannons are based on the laser cannons of the Carrack Light Cruiser. 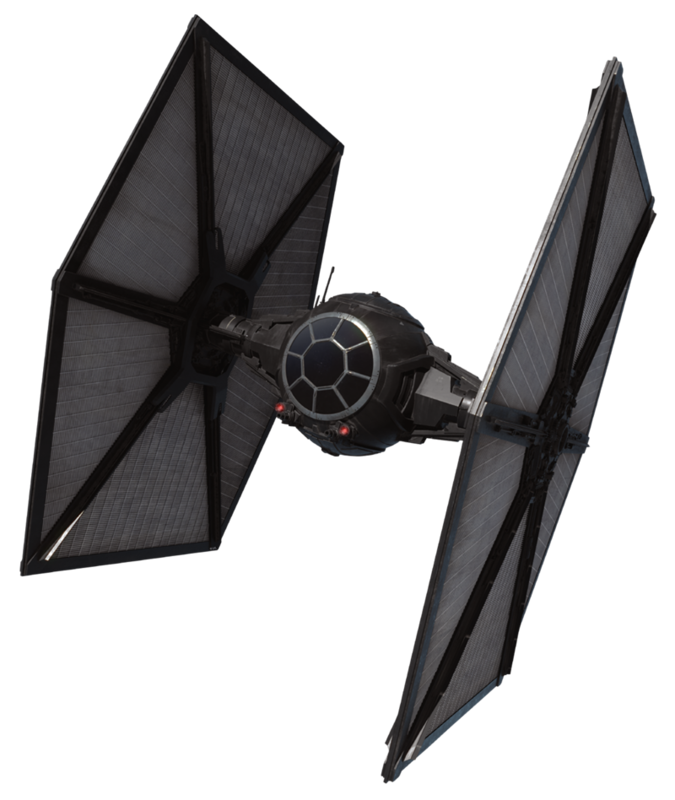 Both capital and starfighter scale anti-ship missiles are based loosely on concussion missiles and proton torpedoes. The "Soft-Kill" Active Countermeasure Package is based on the A-Wings Enemy Targeting Jammer, but upped to capital scale. The Anti-Shield Pulse Charges are based on the concept of K-Wing plasma torpedoes. Mortar launchers are added in for fun. Some weapons are added based on details added by fans to official art for Dark Matter and the Raza, and adapted here for this write-up. While many of these weapons either never appeared in the Dark Matter series, or were never named or described, they were added here due to the Raza supposedly being armed to the teeth. If GMs disagree with any of these weapons, feel free to remove or alter them as desired. -Corrector Nanites: While not stated to be an upgrade, mod, or standard part of the ship, these are the main repir function of the Raza. Similar to those used by the Android when she repairs damage to her own body, the corrector nanites of the ship allow the crew to effect repair protocols to fix the ship when it sustains damage. Aside from being a conveniently cost-effective plot device so that the Dark Matter series never had to show these repairs, these are also very convenient and efficient. Game rules-wise, the corrector nanites count as the crew always having the tools, supplies, and manpower needed to make repairs to the ship, even if there is only 1 crew member using the nanites, and these repairs can be done without the crew needing to be present at the damaged areas of the ship (usually, although some wear-and-tear may still require a manual hands-on approach, depending on the affected system). Using them requires the roll of the appropriate Repair skill, though Computer Programming can stand in at +5 Difficulty. The repair protocols can be programmed and initiated from the bridge or wirelessly by the Android, and once began the crew are free to do other things while the nanites go to work. Repairs take the same amount of time as listed in the Star Wars Rulebook, and can be modified by how good the crew rolls their skill dice. Unless commanded otherwise, the nanites only repair one damaged area or system at a time. If the crew commands otherwise when making the repair protocol, the nanites can repair two areas or systems at double the repair time, double time again (x4) for three, and so on. This repair time can be shortened by 1/4 for every Difficulty level the crew rolls in their Repair/Computer Programming skill roll (These modifiers are supplanted by the Star Wars Rulebook if it states otherwise on repair times and time modifiers, this is only added here as a place holder if such rules are not fully described elsewhere or not available, and the GM should be consulted to make sure). (FOR EXAMPLE: Say the Raza's cargo old and a turret is damaged. A Moderate (11-15) Repair roll is needed to initiate the corrector nanites to repair one of these, and the repairs take 1 hour. If the crew has the nanites repair both, then it takes 2 hours, but the Difficulty is still Moderate. If using Computer Repair instead of Capital Ship Repair or Space Transport Repair, the repair roll Difficulty is Difficult (16-20). If time is of the essence, these times can be decreased by rolling a higher Difficulty: Difficult for 1 hour 30 minutes, Very Difficult (21-30) for 1 hour, Heroic (31+) for 30 minutes, etc. 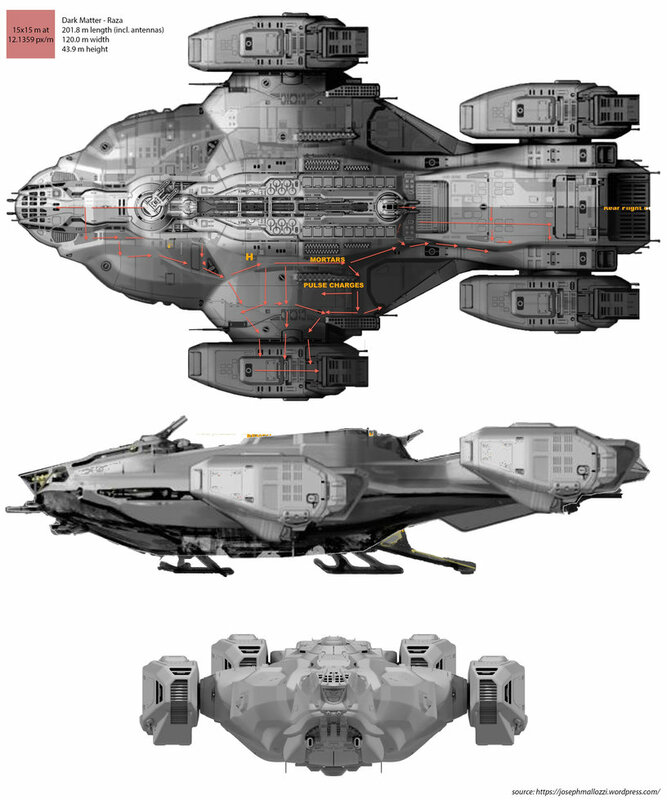 -Cargo Capacity: When I do conversions, crossovers, or write up something new (like the Raza here), I often take a look at a statted out ship of similar dimensions (length, width, etc), compare their general shapes, and use this to get an idea of stats, like cargo capacity. In this case, I looked at the stats for a variant of the CR70 Corellian Corvette from Star Wars D6, which is around 150m long and has 5,000 metric tons cargo capacity, and except for the large enhgines, the CR70's hull is rather thin and streamlined. With the Raza being just over 200m long and much wider and taller, I figured giving it 10,000 metric tons cargo capacity was a good round number. Admittedly, it could be argued that the Raza's cargo space could be more, perhaps more like x4 to x8 that of the CR70. This could be argued further with the Raza supposedly being a heavily modified and armed transport ship. That being said, modifications often take up cargo space in D6 (and in real life), and the lower cargo space could account for the Raza having many gun and ordnance implacements, defensive energy shields, a decent FTL drive, perhaps extra hull plating for armor, and possibly the fancy rotating engine nacelles that allow it a high degree of maneuverability. If GMs feel the Raza should have 20,000 metric tons (x4 that of the CR70), the 10,000 is a good number to keep to allow all of these modifications. If GMs feel this number should be 40,000 (x8), then adjust the number to 20,000. -The name Raza has its origins in Arabic, and is related to the names Reza and Ridha. The name might also be an allusion to the epistemological concept of tabula rasa, which suggest that individuals are born without built-in mental content and that therefore all knowledge comes from experience or perception. Raza is also Spanish for race or people. In Romanian, Raza means the ray or beam of light. I debated making the Crew higher, but I figured 2 to fly the ship and 4 gunners worked, especially with the Raza's mods and upgrades. Technically, if the Android is in control, there is no need for other crew to be involved. For higher numbers, I figured stats for a ship like the Raza before being modded would have more crew to fly it, not for guns, since it's a transport/cargo ship, would have some light guns at best, and probably rely on Galactic Authority forces in patrolled shipping lanes for security and support. Also, debated with myself on whether the skeleton crew should be 1/+5 or 1/+10. If it were a pre-mod Raza, I'd say easily 2/+10. In the Dark Matter series, at least when Five was on the bridge, the Raza always seemed somewhat easy to pilot, even when the Android wasn't around. My only thought was maybe the shields should be stronger. The Raza seems to be able to hold its shields against attacks for a very long time, but as soon as they're down it takes damage. So maybe higher shields lower hull? Good thought. My take on the hull and shields was the comparison with the CR70. It was a little shorter, and thinner length-wise, so I gave the Raza +1D hull but kept the shields at 2D. On the other hand, the larger size could be more for cargo space, less on thicker hull, and it was a transport originally not meant for combat (where Corellian Corvettes seem built with combat in mind). So yeah, I'll change that after I post this. Another thought, the weapons. The Medium Anti-Ship Plasma Cannons were based on standard Turbolasers (4D, 5D when fire-linked). Against the Raza's size and hull/shields, that won't do much, and the Raza often was able to deal damage damage to ships of it's own size and a little bigger (destroyers). Should these guns be upped to Heavy Turbolasers (7D, 8D when fire-linked), or leave them as they are and rely on missiles for heavy damage? Even with HeavyTs, the missiles can "volleyfire" multiple missiles at a time, potentially dealing much more damage, but with limited ammo and to be used sparingly.